School may have just started a week ago, but we already wish we were somewhere else. Somewhere a little more magical and a little less demanding. Instead of daydreaming of foreign travels and fantasy lands, check out these real universities that look like your favorite fictional places. What child born in the 1990s hasn’t wished for a mysterious envelope to fly down his chimney and open up a world of magic, friendship and adventure? Topping this list is a look-alike of JK Rowling’s wizarding school Hogwarts from Harry Potter. Oxford University isn’t made of stone, but it does look like a castle worthy of even Draco Malfoy’s approval. It has the same high towers we recognize from the Harry Potter movies, and the buildings mimic a layout similar to Hogwarts castle. Add in the lush landscape and the fact that the students speak with British accents and you’ll be convinced you’re on your way to Charms class within the hour. Just in case you didn’t get enough of the fake country Genovia from Disney’s Princess Diaries or Princess Diaries 2, Sarah Lawrence is the perfect place to enjoy a pear-flavored ice cream as you walk through their Tudor buildings and pretend you’re Anne Hathaway before she discovered a hair straightener. Located in Bronxville, NY, Sarah Lawrence is close to many shops and boutiques that mirror the style of the Genovian buildings, and the small size of the town reflects the country that is supposedly so tiny that it is located between France and Spain. Technically Atlantis is a mythical underwater city, but University of California Santa Barbara is the above ground equivalent of the sunken aquatic metropolis. The college campus has buildings right on the water, and it has been hailed by Surfer Magazine as the best college for people who love to surf. The oceanic atmosphere is reflected in the school’s academics, as it features many majors in Earth Sciences, Environmental Studies, and Hydrologic Sciences and Policy. For those of you who aren’t Hydrologic Science majors, that means the study of water. Yeah, a school on the water with a major in studying water. It’s hard not to get addicted to the HBO series Game of Thrones with its complex characters, cliff-hanger plots, and medieval era that reawakens all the dormant Lord of the Rings fans. Winterfell is the home of the Stark family, whose family motto is the ambiguous and ominous “Winter is Coming.” West Point Academy bears an eerie resemblance to the Stark stronghold, and its location in New York promises the campus lots of snow come wintertime. That, along with the fact that both fortresses are training soldiers for combat, illustrates why West Point may be the next home for people who can’t get enough of George Martin’s twisted masterpieces. The University of Virginia has consistently been appraised for its beautiful campus, and its creation in 1819 seems to draw heavily on Ancient Greek architecture. The tall pillars, the local amphitheater, and the thousands of intellectually brilliant students are all reminiscent of a Mount Olympus buzzing with the activity of a hundred different deities. Percy Jackson fans might find this university to their liking, as it might finally give them a chance to feel like the demigod they’ve always secretly believed themselves to be (mythical powers not included). We’ve had a few medieval looking college campuses on this list, but it would not be complete without a Camelot look-alike. Camelot is the land of King Arthur and the Knights of the Round Table, or perhaps more recognizably, the name of the hilarious song in Monty Python and the Holy Grail. Arcadia University has a building that cannot be called anything but a castle. Its circular towers and stone structure echo the style of all Middle Age castles, but especially Camelot because of the regal appearance of the college as a whole. Just grab yourself a pair coconuts and gallop on over to visit! Not many people have heard of Sewanee University, which is perfectly appropriate for its match to the secretive drama-filled lives of everyone in Downton Abbey. Sewanee is located in Tennessee, and the buildings on its campus are as grand as the ones featured in the British television show. Students walking to class in big, draped hats and tuxedos could be shot as extras in the TV series and no viewer would be the wiser. So, if you’re craving for a life of upper-class scorn and snobbery, you can at least look the part by visiting Sewanee. There are many reasons why Duke University is famous, including their stellar academics, successful athletic department, and near Ivy League status. One other reason, called the “crown jewel” by Duke’s website, is the Sarah P. Duke Garden. Covering 55 acres of land, it can hardly be called a secret, but the level of beauty in this park is more than deserving of the comparison to Frances Hodgson Burnett’s novel The Secret Garden. The canopy of trees overhead is complimented by the artistic placement of stone pathways and bodies of water. It seems like the perfect place to get away if school’s already bringing you down. 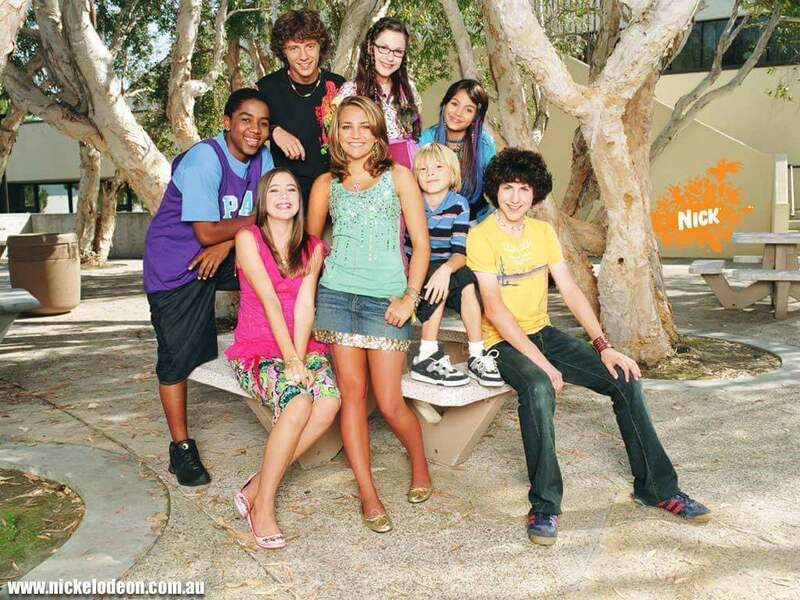 Before Jamie Lynn Spears got pregnant and disappeared off the face of the Earth, she was in a nickelodeon TV show called Zoey 101 about a girl going through high school, making friends, and overcoming obstacles. But nobody actually cared what the show was about, because the school that she went to was amazing. On campus movie theaters, short walk to the beach, every teenager’s dream game room, and palm trees on every corner. The best part? It was filmed at a real college! 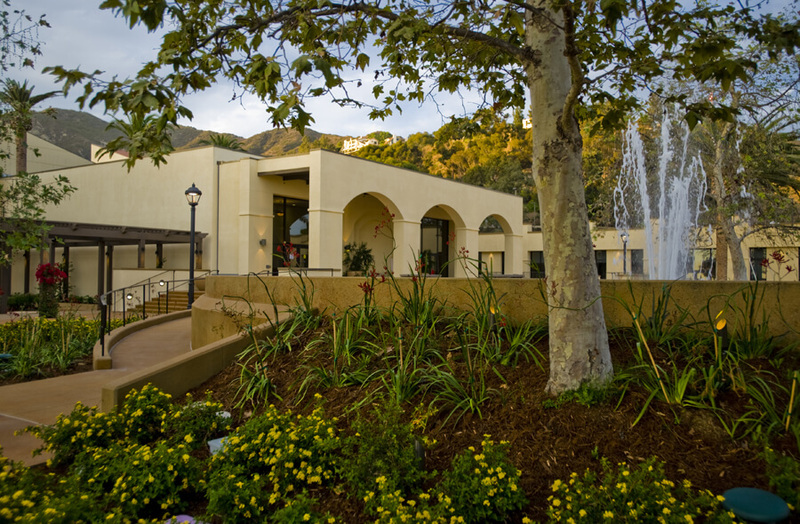 Pepperdine University, located in Malibu, California, was used as the set for the majority of Zoey 101 campus life. So, if you miss watching the old nickelodeon, you just might be able to live it by visiting Pepperdine University. Is Facebook Hurting Your Real Life?